Kazuyuki Ikumori, the general manager of Visual Works (Square Enix’s CG movie production studio), he'll be giving a lecture on on what goes into making the CG movies of Square Enix. This will be taking place than nonw other than the USC campus on March 12. Maybe we'll get some details on the Deus Ex property, supposedly in pre-production. 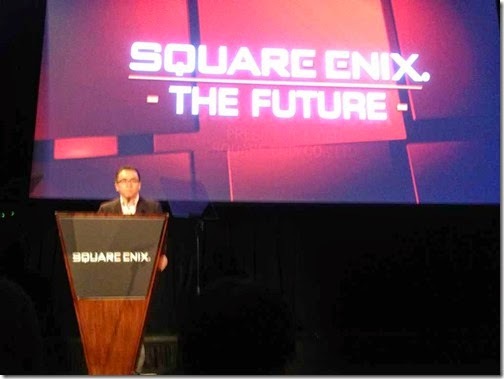 The main focus will be on his work on FINAL FANTASY TYPE-0™ HD and other Square Enix projects. This should be an interesting talk as the studio has only made two films so far and it's first was a box office bomb suffering from "Uncanny Valley." As of right now it seems to be that only USC students can attend, with no way for the average fan to get tickets. The few of us not enrolled at USC, who can't go, can view the lecture in its entirety at http://www.twitch.tv/squareenixpresents/ , when it eventually goes up.